Here is a beautiful matching wedding band set that includes a 6mm and 8mm tungsten ring. 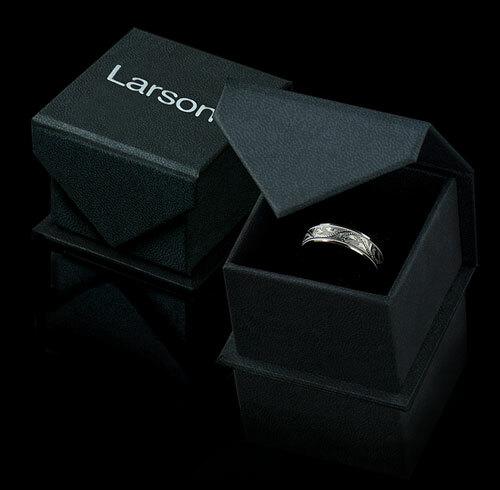 This unique comfort fit style from our tungsten rings collection is made of jewelry grade tungsten carbide with nickel binder, and contains no cobalt. The ring has polished beveled edges and has an inlay of beautiful mother of pearl, which has purple, blue, green, white and black colors swirling together like the waves in the ocean. Mother of pearl is a decorative material that has been used for centuries on furniture, musical instruments, and jewelry. It is made from the inside lining of oyster shells and abalone shells. This style is available in 6 mm and 8 mm for couples who want a matching set. Please note this material is not as strong as tungsten and can chip if ring is dropped. 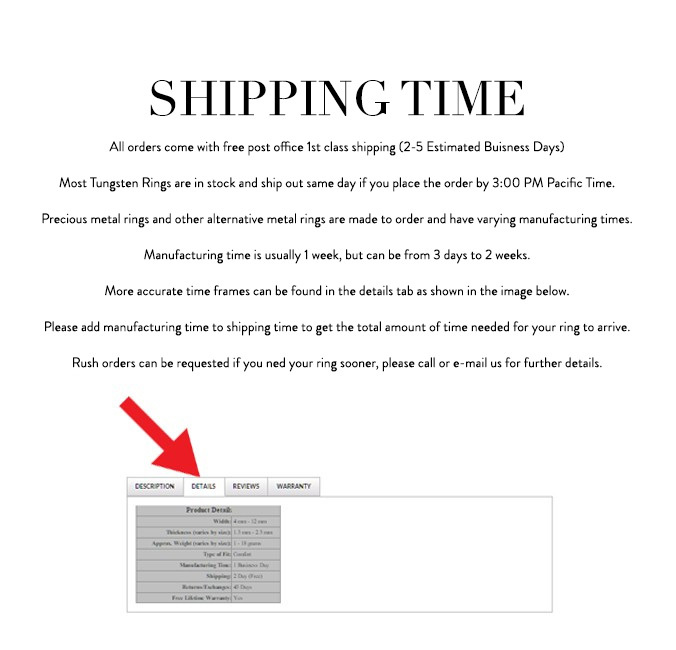 Tungsten Carbide is the newest and strongest metal to be used in jewelry, ideal for men and women who are tired of rings that scratch easily Truly Free Lifetime Sizing and Lifetime Warranty on all tungsten rings, no exchange|sizing fees, which are charged by other retailers.